Just the very mention of the word “repeal” suggests setting something behind, to leave it in the past, and what better day to leave something in the past than December 5, or Repeal Day, which celebrates the day Prohibition ended and the modern age of drinking really began. Read More Here At prohbtd.com! It’s rum festival time again. 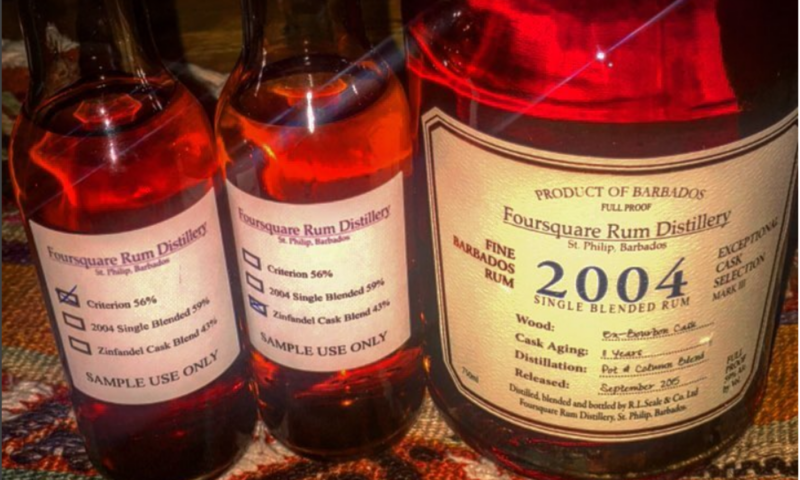 Time to meet up with friends to discover all the best rums from the Caribbean and beyond at the two day Rum Renaissance Festival tasting event at Fort Lauderdale Convention Center this weekend from 2 to 7pm. More than 150 rums will be displayed, plus a host of great seminars and master classes presented by notable rum experts of the world. In addition, the VIP Tasting Bar offers rum connoisseurs and collectors an opportunity to sample exquisite, rare, vintage and limited edition luxury rums. “We’re excited that Rum Renaissance is celebrating its tenth anniversary of bringing the world of rum to South Florida. We’ve been visiting to all the rum producers to gather an incredible collection of fine rums to sample for this two day grand tasting event. It’s an opportunity for rum enthusiasts to enjoy their favorites and discover some delightful new expressions, gain a greater appreciation and share the enthusiasm of these fine spirits with friends,” said host Robert Burr. Tickets are available online, by calling 877-855-3378 or at the door, starting at $75 for unlimited rum samples. VIP admission, beginning at 1pm, includes a special rum tasting glass, plus complimentary access to seminars and VIP tasting bar samples. It all takes place at the modern Fort Lauderdale Convention Center located on the waterfront at the 17th Street Causeway, just aroud the corner from Fort Lauderdale’s famous sunny beaches and vibrant nightlife. The host hotel is the Hilton Fort Lauderdale Marina resort, located on the water right next to the convention center. Here is the hotel concierge’s local map and recommended restaurants to visit. Looking Forward to being a judge at the Tenth Anniversary Rum Renaissance Festival set for June 9-10 at the Fort Lauderdale Convention Center. My first experience with the romantic taste of Amaro came in Rome, when I was traveling in Italy with my parents. They would pull my sister and me out of school for a month or more at a time to see many of the European countries. My parents liked the best things that life had to offer — and rather than stick us on an impersonal tour bus, they would immerse us in local food, wine and museums. They get it on ice! Travel just about two hours by airplane- due West from the New York/Metropolitan region, and be prepared to find great ice! (As shown above) And much, much more! There is a craft spirits, culinary and craft cocktail revolution- ‘not so quietly’ reinventing itself in Columbus, Ohio. The finest culinary and alcoholic ingredients in the land are no longer only being only shipped to the big cities to the north and on both sides of this ‘fly-over’ city. Local cooks and mixologists are raising the bar on what is delicious- and what has not been discovered yet by the rest of the country. New money and massive amounts of raw, entrepreneurial creativity is gushing into this former rust-belt town. Each passing day is creating great pressure on existing bar and restaurant businesses- to ‘raise the bar’ and to do it really quickly or be left behind by changing tastes. There are gleaming new restaurants, distilleries, micro-breweries and craft cocktail bars all over town- some of them carved into former bank building lobbies, as if the employees of the bank just got up at the end of the day and their places were immediately replaced, not by investments, but by toothsome food and drink.